This school year, JA Hungary has taken a new approach to raising awareness of social entrepreneurship among Hungarian students and teachers. 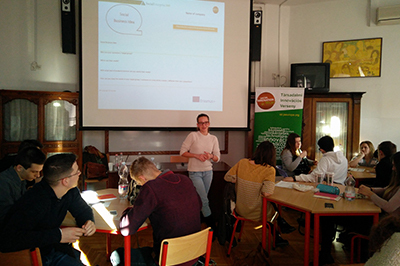 Through the Social Entrepreneurship Roadshow events, students not only meet successful Hungarian social entrepreneurs but also take part in a creative idea generation process with JA Hungary staff members. On one early morning in November of 2016, Jong Ondernemen (JO) in the Netherlands hit the highway and made their way to Veluws College Walterbosch in Apeldoorn. 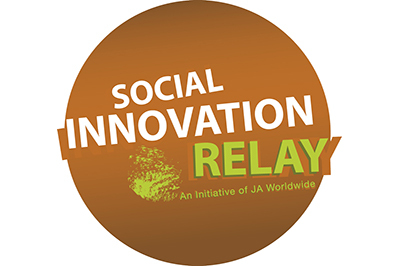 Their mission was to deliver a lesson under the programme of Social Innovation Relay (SIR) to students aged 15 to 18 (fourth graders). 101 students from three classes benefited from the lesson. After recently volunteering in JA Poland’s Open Company workshop this past November 2016, two Euroclear volunteers provided us with some feedback on their unique experiences in the classroom. 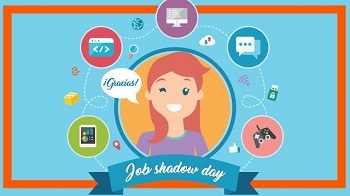 Mirna Rodriguez, User Experience Architect, Avanade Spain volunteered with Fundacionjaes (JA Spain) in November 2016 during a special job shadow day geared towards promoting women in STEM careers. 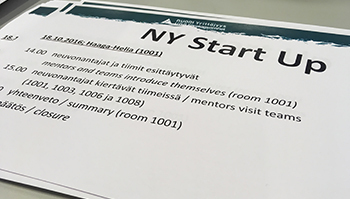 Arno Illukka, Head of Corporate Technology Finland and Sweden, Euroclear, volunteered with JA Finland during a Start Up workshop in October 2016.